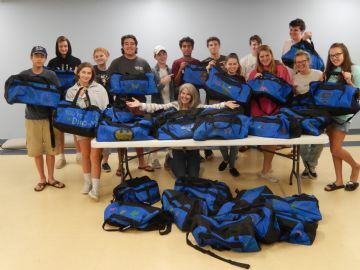 SABB's Youth Group decorated 30 cases that will go to local foster children. Proceeds from the BOO Bingo in October 2017 purchased the cases. Front row: Kevin Kohler (GK), Greg Grover (DGK). Back row: Pat Griffin (FS), Dan Musiker (O. Guard), Joe Walker (I. Guard), Chris Nemarich (Chancellor), Fr. Jeffery Dauses (Chaplain), Richard deStowlinski (Membership Chair), Don Pisman (Warden), Larry South (Advocate). Front row: PGK Pat Griffin, Trustee; Kevin Kohler, Deputy Grand Knight; Don Pisman, Guard. 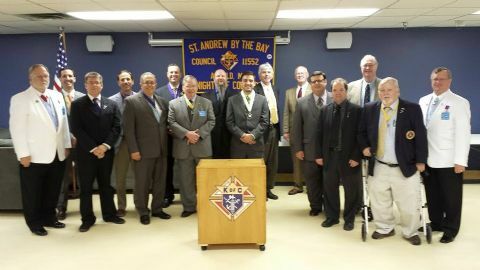 Back row: PGK Jeremy Shutt, Finanical Secretary; Greg Grover, Warden; Duke Hunt, Grand Knight, PGK Tom Denn. Deputy Grand Knight Kevin Kohler receives the Golden Knight Award from Field Agent Mike Barrett as District Deputy Jim Duree, Trustee Pat Griffin, and Grand Knight Duke Hunt look on. 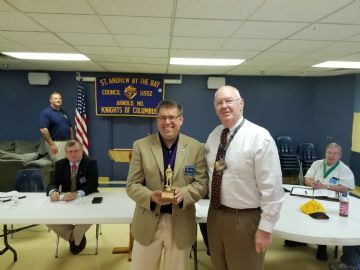 The Golden Knight award is for recruiting new members, and Kohler thanked Brother Glenn McNabb for his Welcome Brunches. 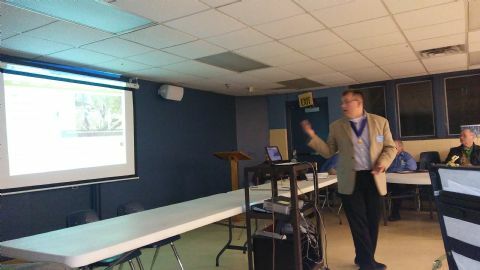 DGK Kevin Kohler introduces the many features of Council's new interactive website to his fellow Brothers at December's business meeting. Brother Brad Bishop and his boys plant a tree on the church grounds November 19th. 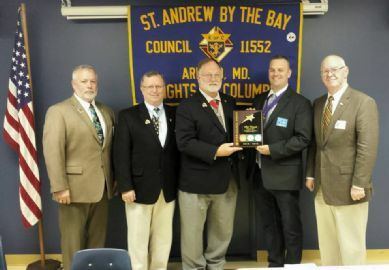 Grand Knight Jeremy Shutt led us to earn Star Council, KoC's highest honor for 2015. In memory of Joey, the son of PGK Joe Sudo and Suzanne Sudo, our Council has raised about $25,000 in three years for people with serious illnesses through the Joey Sudo Memorial Fund. 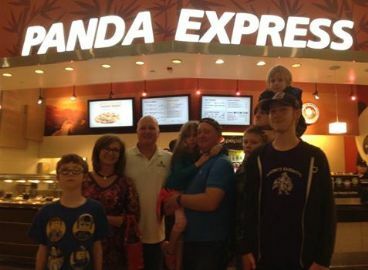 The Clement family is one recipient. 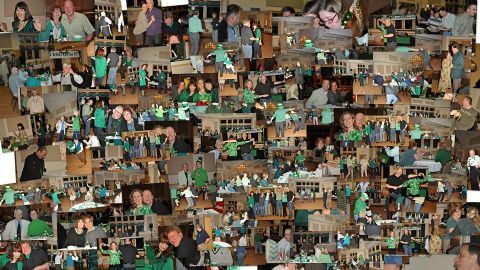 Kickin' it St. Patty's style 2015. 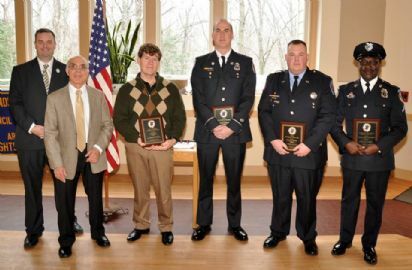 Every February, Council honors local an exemplary police officer, firefighter, and EMT. Now you can pay your annual dues online! Click on "News and Announcements" to pay.